If you want to take the time to read some of the blogs in the Atlanta and Athens newspapers, you’ll see numerous references to the Georgia football situation. Many Bulldog fans are outraged that the team has struggled to a 1 - 3 start and is winless in the Southeastern Conference. I have been a Georgia fan for 55 years. I saw my first Georgia home game when they were victorious over North Carolina by a 28 - 7 score on October 8, 1955. I was fortunate to see another Bulldog win over Alabama by a 35 - 14 score on October 28 of that same year. Stars from that team were; the great Baltimore Colt receiver, Jimmy Orr, Jimmy Harper, Fullback Wilber Lofton, Captain J. B. Davis and All-conference end Roy Wilkins. To a 10-year old boy viewing those two wins, it seemed like the Bulldogs never lost. Now some 55 years later, the Bulldogs are struggling to find a victory after a string of outstanding seasons from 2002 through 2008. The records during those years were; 13 - 1, 11- 3, 10 - 2, 10 - 3, 9 - 4, 11 - 2 and 10 - 3. An 8 - 5 won-loss record in 2009 sent many of the Bulldog faithful into a clamor to make changes. Coach Richt obliged by removing long time Defensive Coordinator Willie Martinez from the position. Now the Bulldogs are in a full-blown struggle to beat anyone. The wolves are howling to remove Coach Mike Bobo, new defensive coordinator Todd Grantham and even the head coach. Perhaps Andy Griffith said it best in an old satirical record he made in the 60s called, “What it is, is football.” And no matter how much we try to make it a life and death proposition, it is still simply a game. I don’t make a dime if Georgia wins or loses on Saturday. Nothing is going to change. While I’d like to see the Bulldogs win them all, it isn’t likely to happen. I think that’s called reality. I’m not an advocate of firing a coach for a won-loss record. If Coach Richt has shown a shortcoming, it is his inability to recruit strong moral and highly academically inclined kids for the Georgia program. If he is to ultimately lose his job, I hope it is over that issue and not his won-loss record. To say that the criteria for being a Georgia football player has been dumded down is an understatement. All the law-breaking problems, academic problems, embarrassing domestic situations and on-field disciplinary control problems are a direct result of his failure or his recruiting coordinator to either complete due diligence in the recruitment of the players or a lack of concern as to what is brought to Athens to represent the University of Georgia. I, for one, am sick of hearing about A. J. Green. He should not be allowed back on the team. Furthermore, Ealey and all the other law-breaking ignoramuses currently on the squad should also be kicked off. I am a firm believer that playing football at the high school or college level is a privilege and not an individual right. There is a high school quarterback in North Carolina that has been offered a scholarship by the Bulldogs that was suspended by his school for major rule violations. He ultimately chose to forego his senior season and work with a trainer to “prepare” for college football. This sounds like another Quincy Carter in the making. Is this kid going to come to Georgia and play behind Murray for three years? Doubtful. Here’s hoping he’ll go somewhere else. Coach Richt's top priority should be to upgrade his good citizenship requirements for his players. If anyone on the Georgia coaching staff needs firing, it is recruiting coordinator Rodney Garner for bringing the losers as people he brings into the program. I Firmly believe this would eliminate many of the Bulldogs problems and lead to better team unity and ultimately a better won-loss record. At any rate, The Bulldogs will be back. They’ll win again and all will be well in the world of the Georgia Bulldog fan. 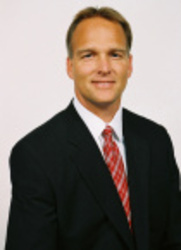 University of Georgia Head Football Coach - Mark Richt. University of Georgia Assistant Head Football Coach and Recruiting Coordinator - Rodney Garner. 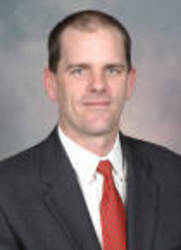 University of Georgia Football Offensive Coordinator - Mike Bobo. University of Georgia Football Defensive Coordinator - Todd Grantham.